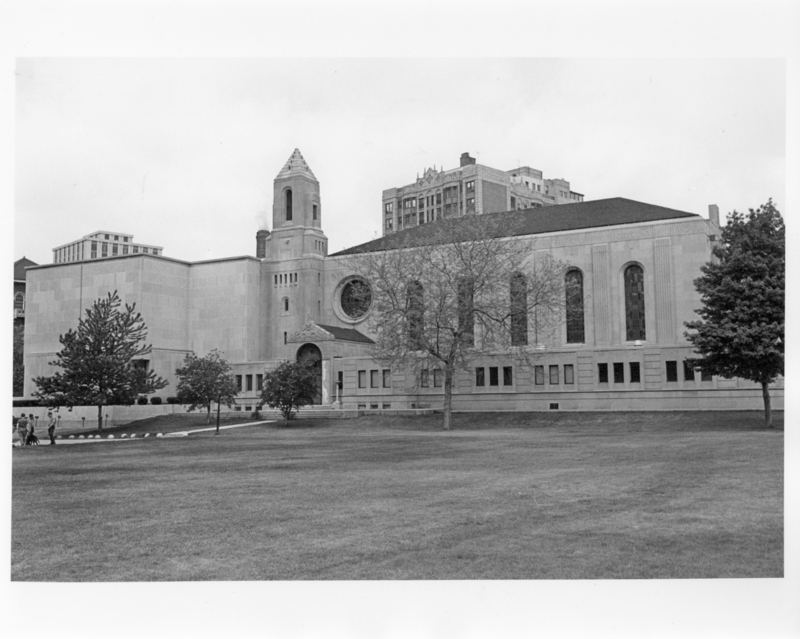 The E. M. Cudahy Memorial Library was completed in 1930 and is named for the late Elizabeth M. Cudahy. The original building had an extension added on in 1969, and most recently, the Klarchek Informations Commons was added in 2007. The library houses the university's fine arts, humanities, science and social sciences collections as well as the University Archives and government document depository collections. After completion of the new library addition, Steven Urry donated an architectual sculpture titled "Resurrectiai". 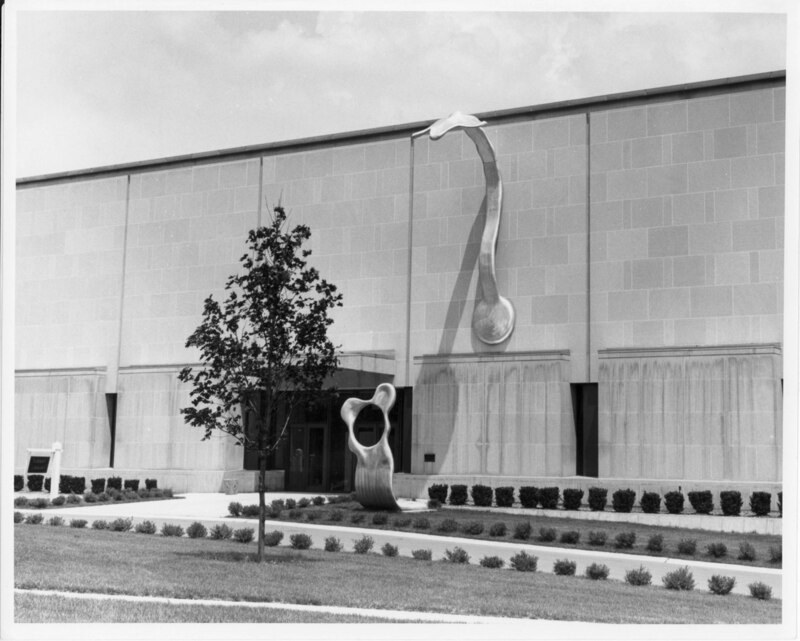 The 25-foot sculpture has since been removed, but Urry's work can still be seen at the Art Institute of Chicago. 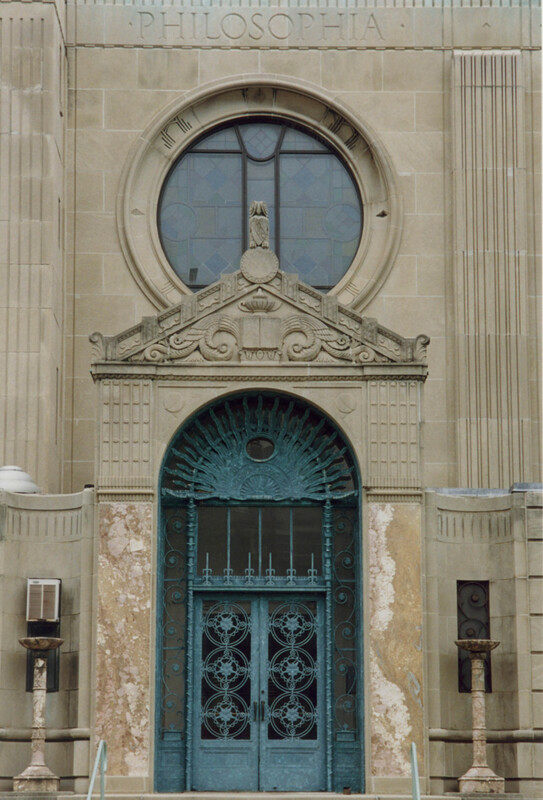 Architect A. N. Rebori designed this elegant entrace to the original library building. 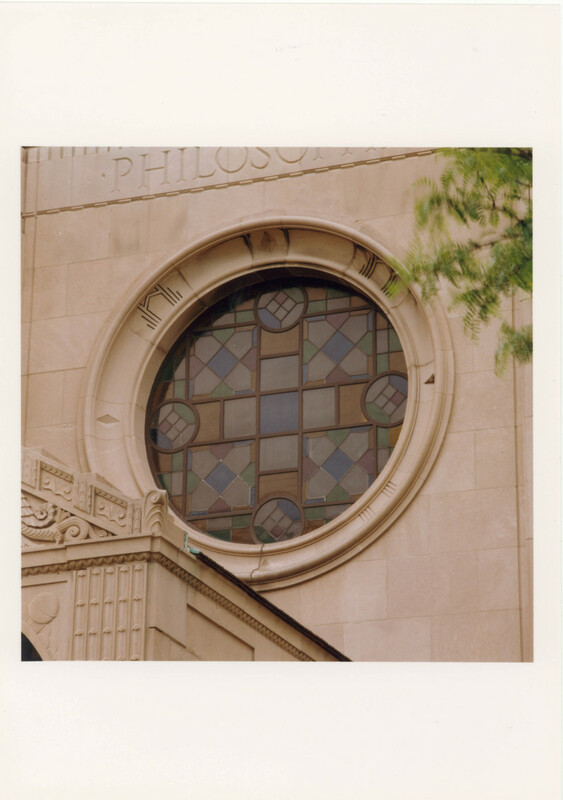 A closeup of the stained glass window located above the original library entrance. 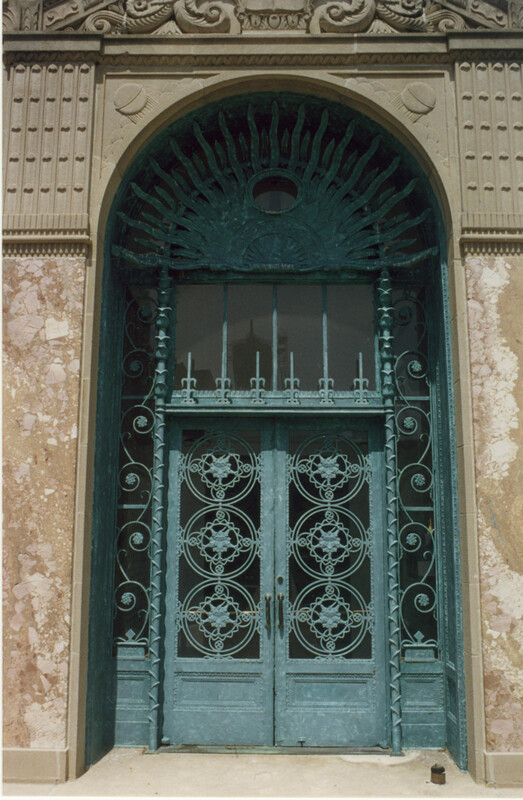 A closeup of the bronze door that was the entrance to the building before renovations. 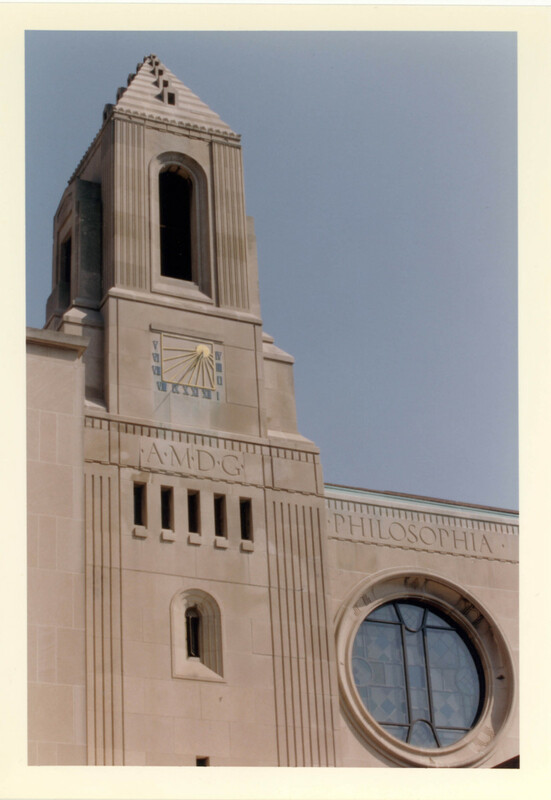 Next to the original library entrance, stands the tower and sundial. 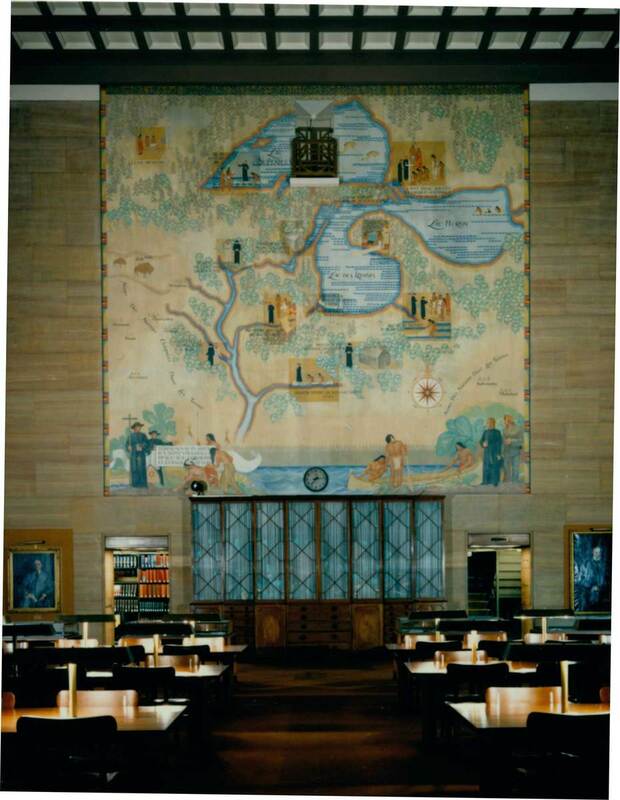 This mural by John W. Norton, located in the Cudahy Library Reading Room, is conceived as a pictorial cartographical record of Jesuit missionary activity in the Great Lakes Region and the Upper Mississippi Valley during the seventeenth and eighteenth centuries.